Two artists dominate my current playlist: K’naan and Sia. I am in love with Sia’s new album and K’naan’s 2012 album has really hit home recently, speaking to exactly what I’m feeling right now. I also can’t resist some new Justin Bieber and Missy Elliott. The rest of the list is a random assortment of songs I like. “WTF (Where They From)”: Is there a better workout song right now? I don’t think so. “Unstoppable”: Sia’s voice is perfection and this song is inspiring. “What Do You Mean?”: OK, I’ll admit it. I like Bieber’s new music. This song pumps me up to work out. 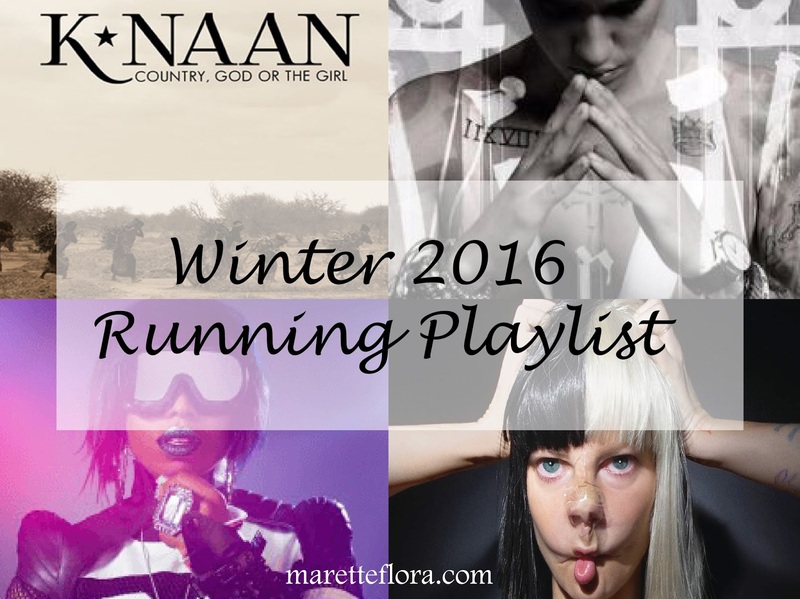 I’ll be tweaking and adding to this Winter 2016 Running playlist on Spotify, especially when I start my longer runs for half-marathon training. Feel free to follow, listen and let me know what you think! (I prefer to hit shuffle each time.) Music is so personal, so I don’t expect everyone — or anyone — to love it. What artists are you listening to right now?